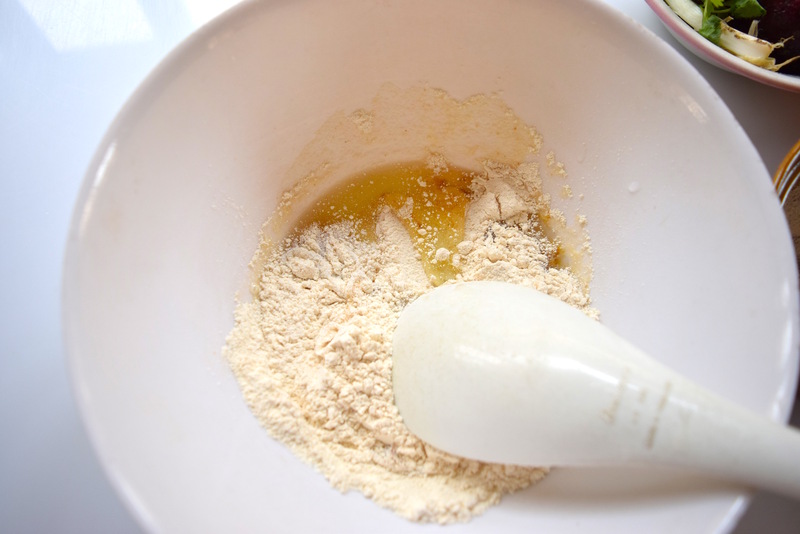 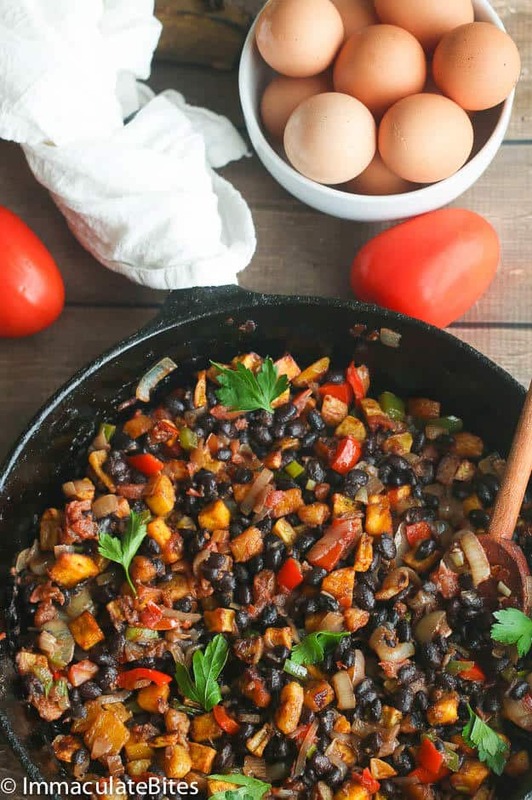 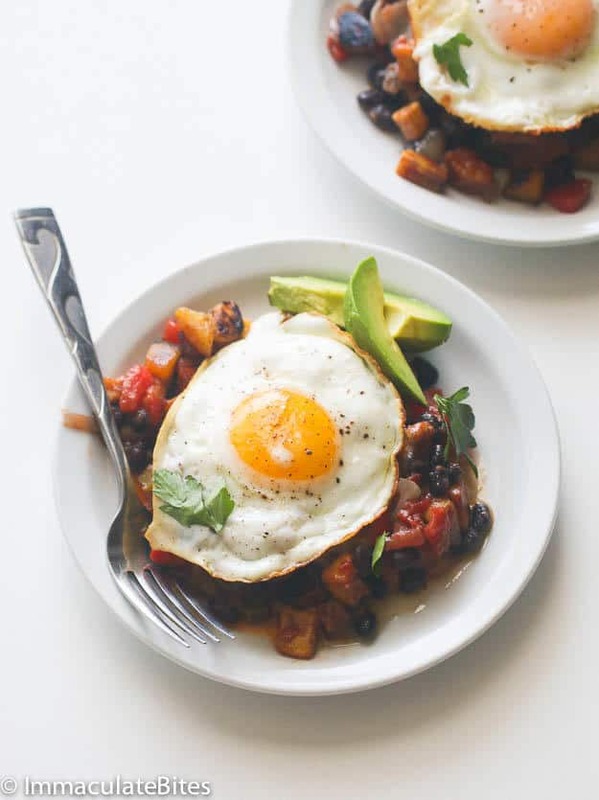 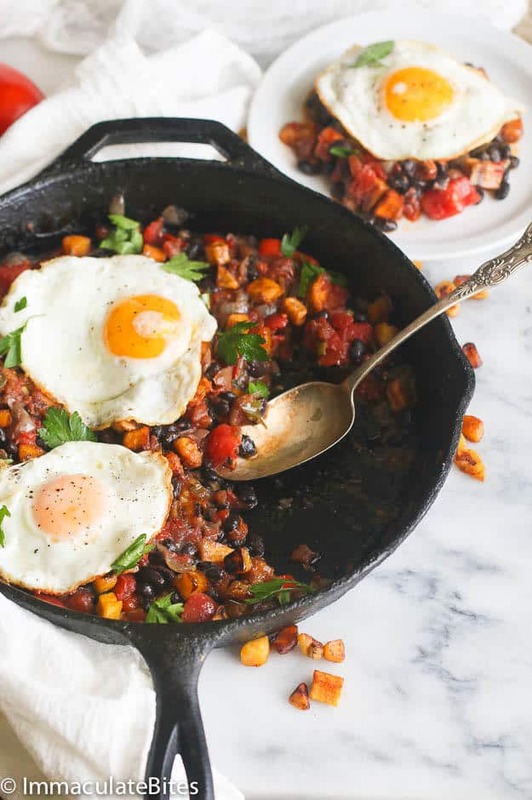 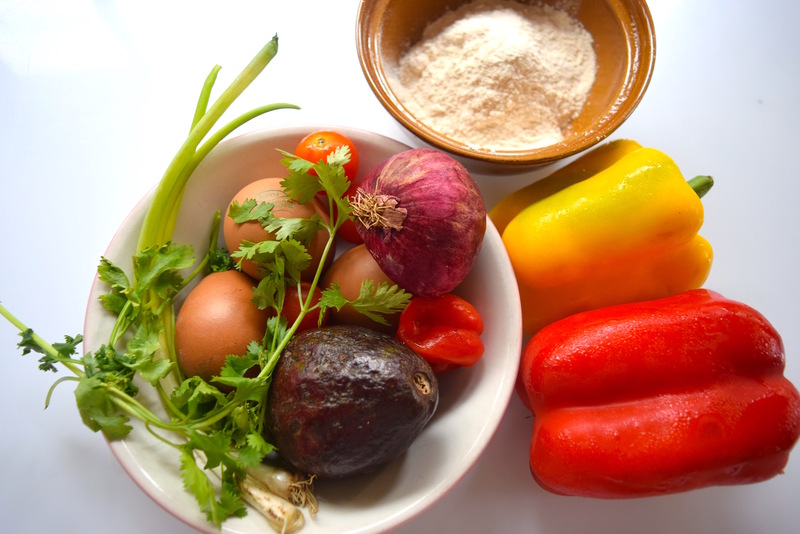 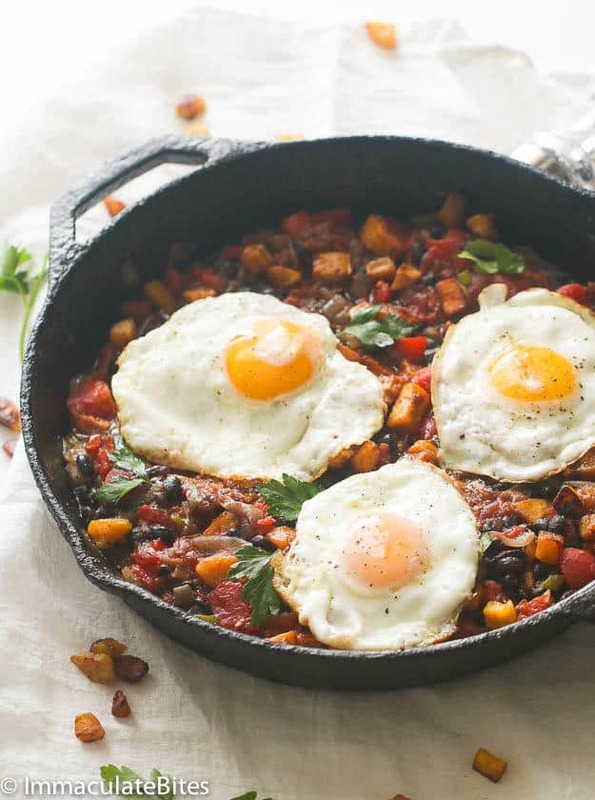 In a bowl, mix your bean flour, blended onion and pepper, egg white, seasoning cube and water. 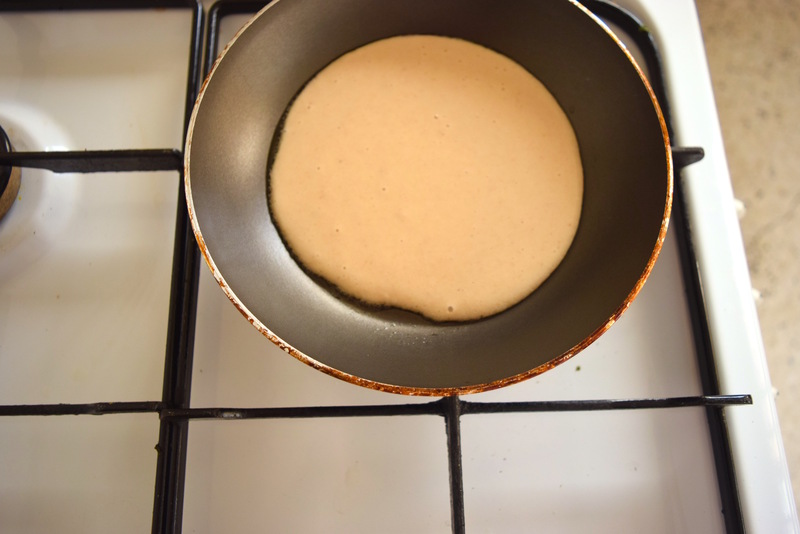 In a pan with heated oil, scoop the akara pancake mix into the pan and allow to brown on both sides. 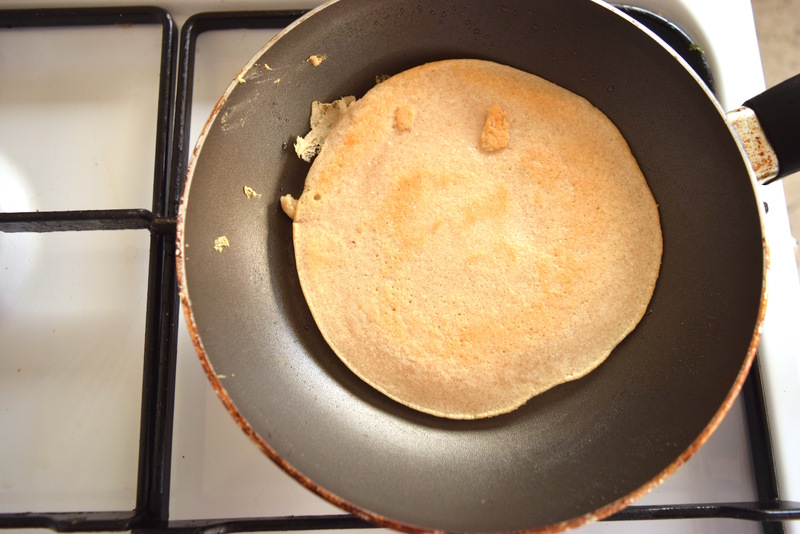 Flip pancake on each side to make sure it cooks. 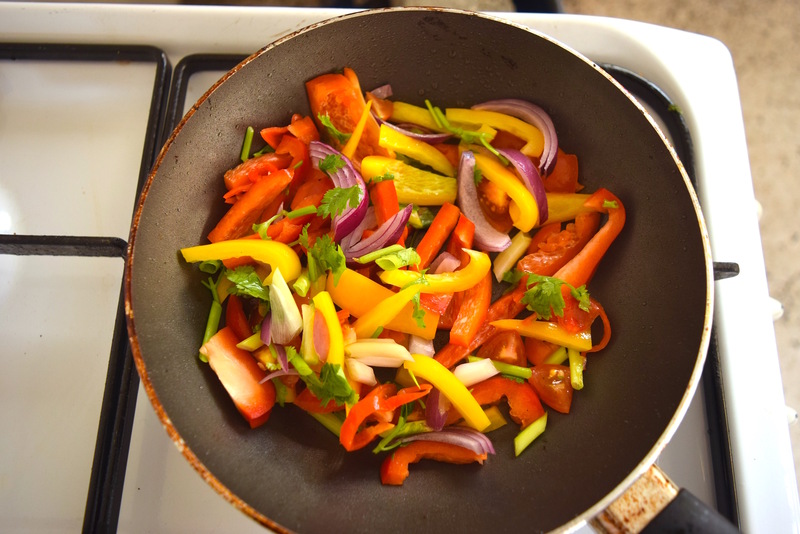 Chop your vegetables and set aside. 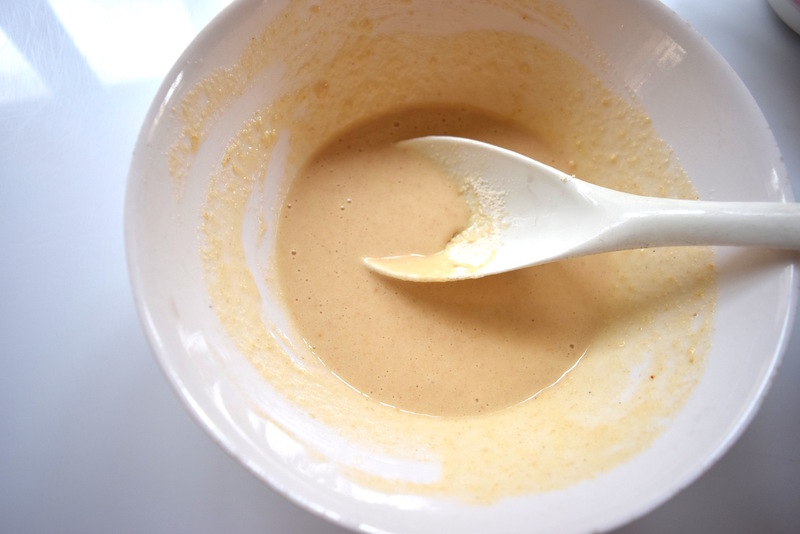 Whisk your eggs, season with seasoning cube and black pepper and set aside. 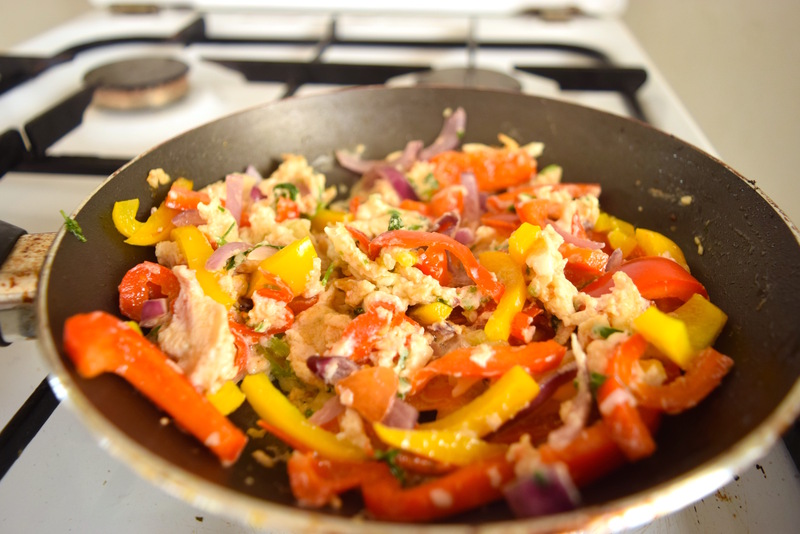 Heat up your pan and stir fry the vegetables on medium heat for one minute. 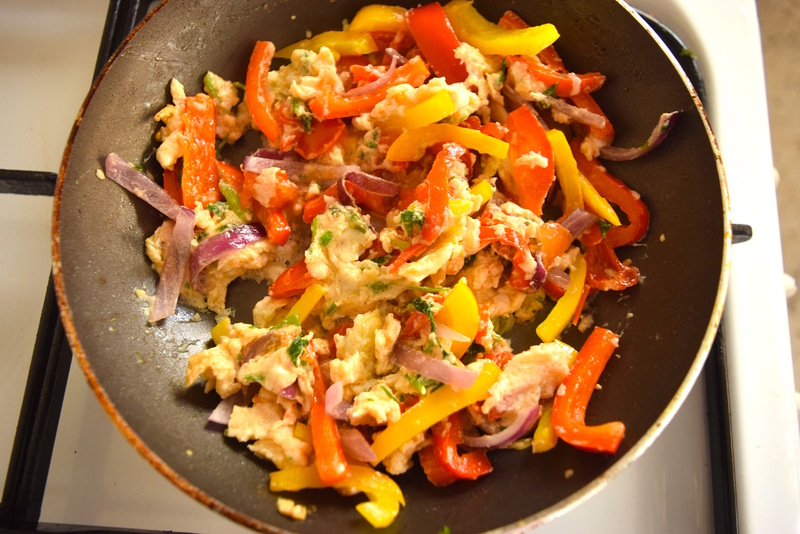 Pour in your eggs and stir fry with the vegetables and allow the eggs to set. 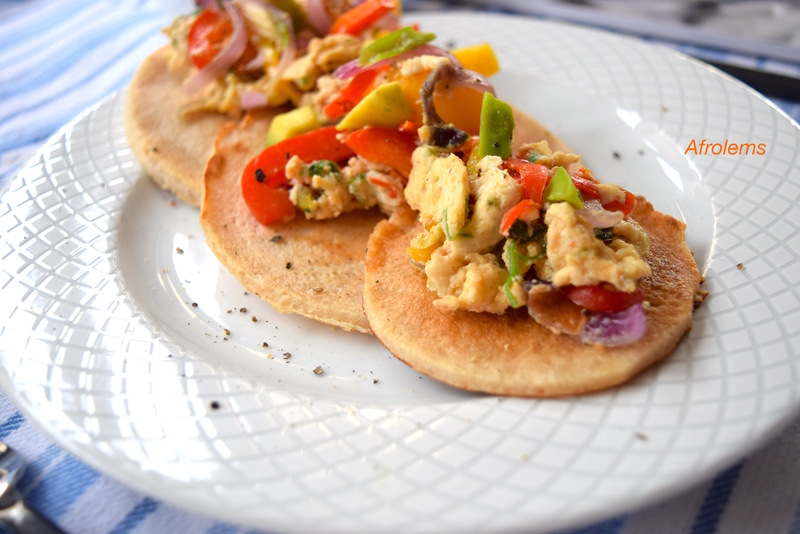 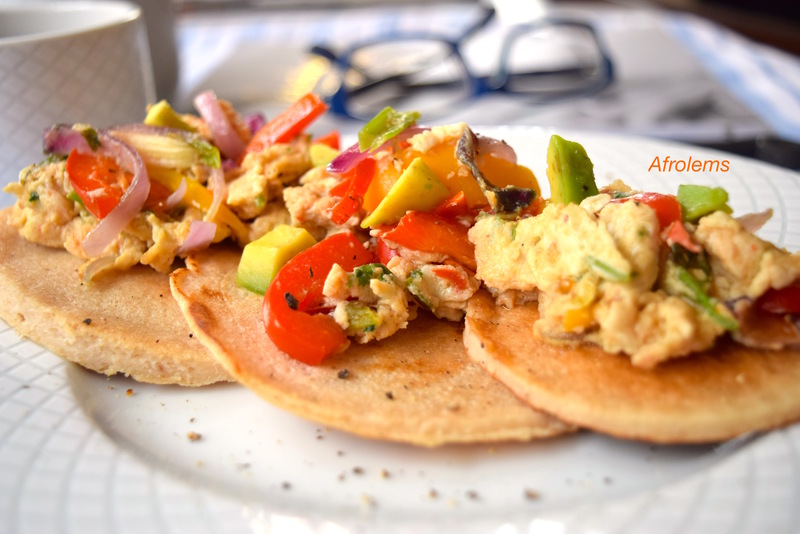 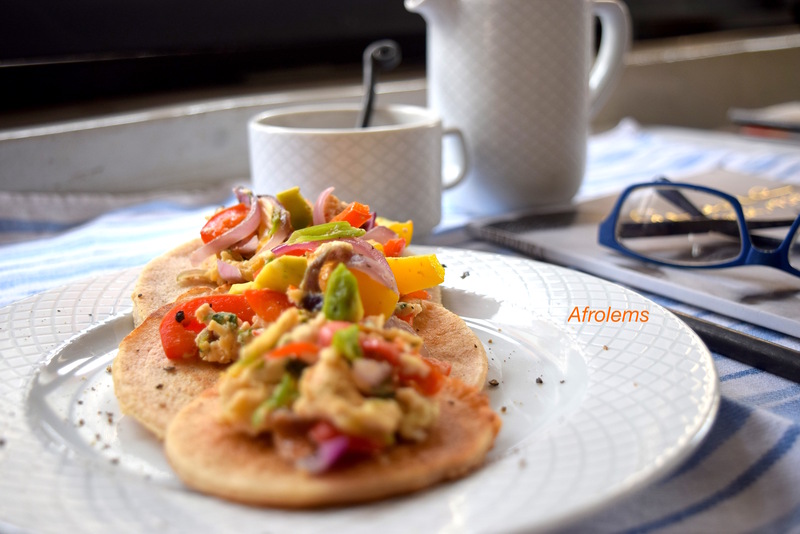 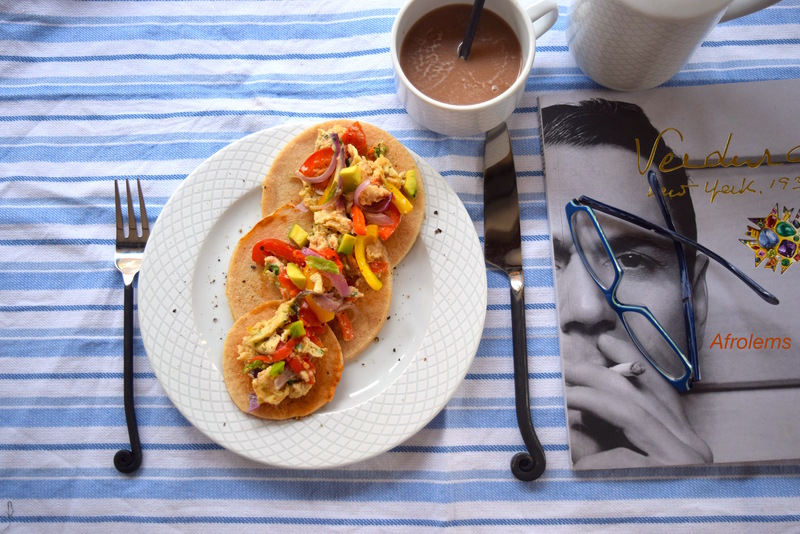 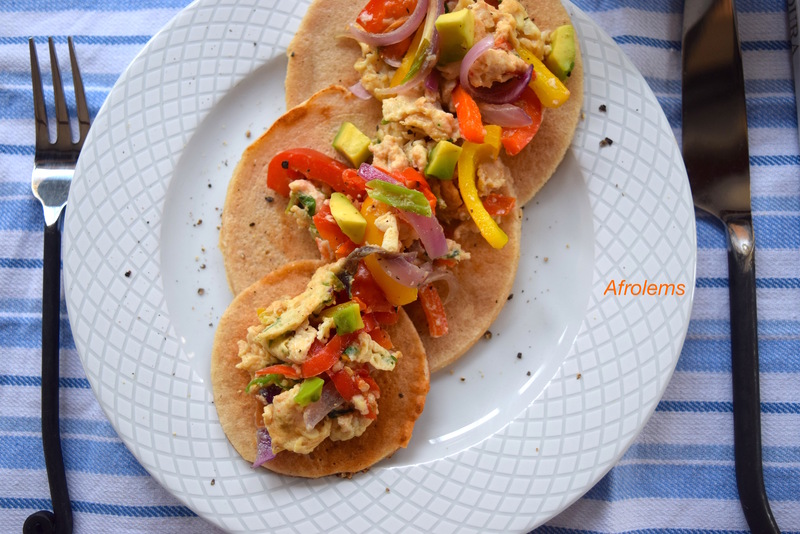 Chop up your avocado and mix with your egg white omelette to serve with the akara pancake.